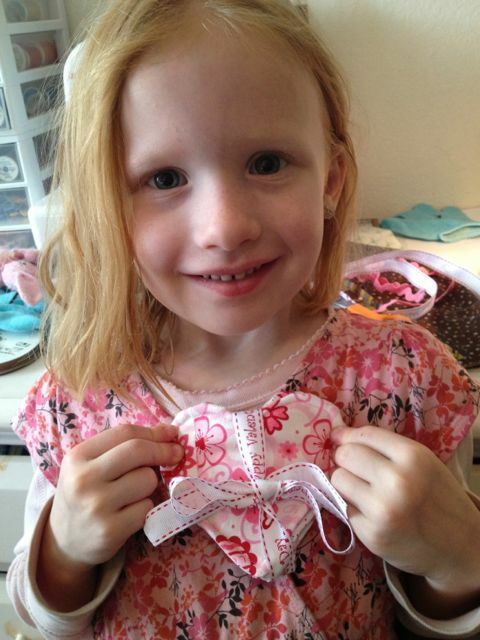 The other day Miss J asked if we could sew something together. She knew just where my scrap fabric was, so could she go pick some? 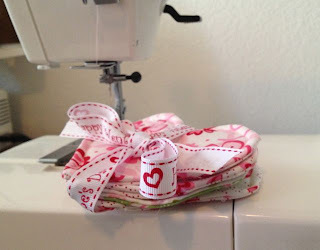 She spotted the heart fabrics right away and just knew she wanted to use it. We had fun looking through a book of scrap crafts trying to find just the right project. Heart shaped coasters seemed to be a good pick; we only had small scraps and this was a simple project that could be completed that day. Miss J stuck through the whole project. I didn't do a thing without her, and she did as much of it as she could. She enjoyed doing some of the cutting. She learned to work with pins a bit better. We sat together at the sewing machine, with her on my lap. Lifting the presser foot and removing pins were great jobs for her as she watched me guide the fabric and run the machine. 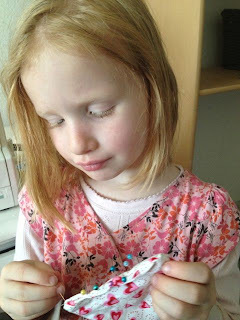 Clipping and turning the hearts were great opportunities for her to learn and develop more fine motor skills. 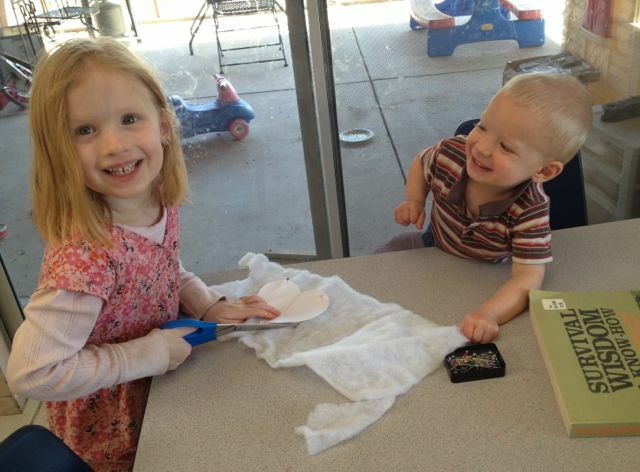 She was so proud to present the finished product to Daddy when he got home that evening. So cute! Both the little girl sewing and the final product!